So, you’re getting married – sure, it’s exciting, but there’s also about a gazillion and one things to think about. But fear not, with our handy guide, you’ll know exactly what to organise when, so you look totally gorgeous on the day! You might have the best hairdresser in the world when it comes to haircuts and colour but how good are they at wedding hair and updos? Don’t feel pressured to book your hairdresser just because you feel loyal to them, most hairdressers will openly admit whether they’re a dab hand at hair styling or not – they might even feel relieved not to be asked! 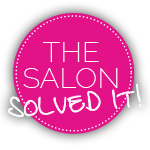 If you do decide to enlist the help of a new hairdresser, give yourself six months to find someone you’re happy with! Planning in advance will also allow you to work out your bridal hair budget. 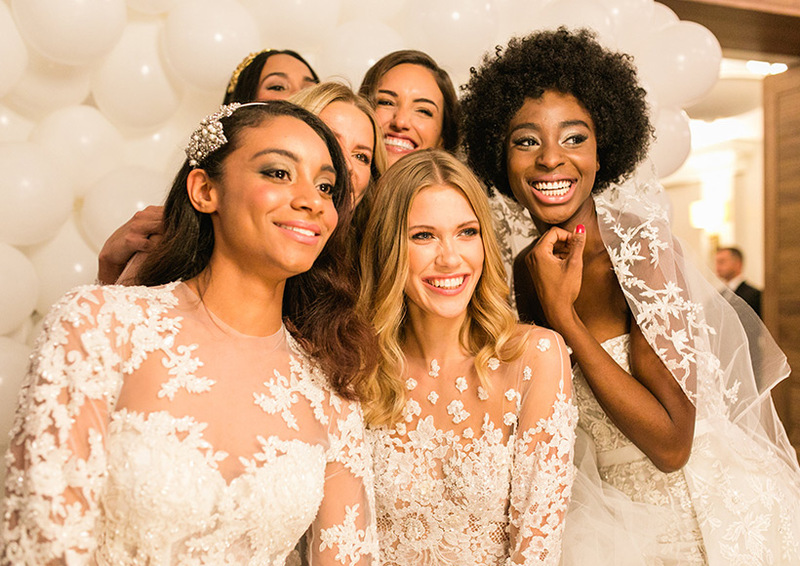 Can you afford to have your entire wedding party styled by the experts? Who knows, your bridesmaids might even prefer the DIY option. Iron these things out now and you won’t have to worry further down the line. Cost-wise, it’s also essential to ask if the hairdresser is willing (and can) travel to your wedding venue and at what charge, along with how many trials they suggest. And if you’ve got your heart set on long, thick and luscious hair on the day, then you’ll want to start taking some supplements like Viviscal now – they add strength from the inside out but need enough time to work before the big day. There are two routes you can go down here. You either stick to your natural style and simply tszuj it up with an accessory, or you go all out with a wedding updo. The most important thing is to find a hairstyle that you’re happy with and will make you feel confident on your big day. Your wedding dress will also play a big part in dictating your hairstyle. If you’re going for something Grecian, a half up or half down do that looks more relaxed will win every time. Likewise, a high neck or long sleeved dress will look stunning with an elegant ballerina bun that shows off any intricate detailing on the dress. 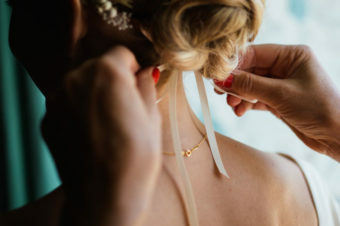 Even if you’re keeping your wedding dress a secret from everyone else, make sure your hairdresser knows what they’re working with. If you haven’t already, start keeping a record of all of the hairstyles you’re feeling inspired by, and always choose people with a similar hair type or length to you. PS: Want an updo but have short or fine hair? Then make hair extensions your new bridal best friend. Whether they’re individual pieces or clip-ins, if you make the call now you’ll have enough time to find the right extensions. Every bride wants shiny, glossy hair on their wedding day so put the legwork in now and within eight weeks you’ll be able to see a noticeable difference. Use a clarifying shampoo once a week to get rid of hair-dulling product residue and add a hydrating hair mask into your routine. And if you’re worried about your hair looking lifeless, invest in a scalp serum or hair thickening treatment. Pumped full of vitamins and proteins that swell your hair, they’re also designed to extend the growth phase of your hair so it looks thicker and fuller. Pencil in a couple of hours with your stylist so you can try out as many different wedding day looks as possible. 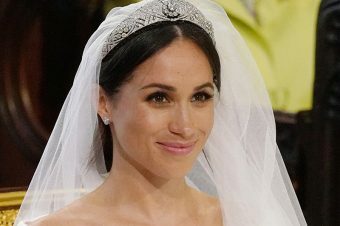 Bring along that all-important picture of your dress and take any accessories with you that you might wear on the day, such as a tiara, veil and earrings. Take pictures to check it from every angle and if you’re not happy, speak up. You still have enough time to play around with alternative looks or even find an alternative hairdresser if needs be. It’s always worth asking someone else for their opinion too, so fling the images over to your most straight-talking bridesmaid who will tell you exactly what they think! Having a trim and colour touch up now will allow enough time for your colour and cut to settle. If you get your hair chemically relaxed, curled or straightened, this is also a good time to book in for the service as treated hair tends to look better after a fortnight. You might even want to consider an in-salon conditioning treatment to give your hair an extra hit of hydration. By now you will have discussed with your stylist whether you need to wash your hair the night before or on the morning of the wedding – often they will suggest the night before as freshly washed hair can be unresponsive, static and slippery. Your stylist will also have told you how long you need for your hair prep (and for your bridesmaids and mum if necessary) but allow two hours as a general guide. As the day unfolds, your hairstyle may loosen a little but don’t worry; a few strands out of place can easily be fixed so ask a bridesmaid to keep some Kirby grips and a mini hairspray in her bag. Or if you’re happy to, let your style relax as the day goes on – you might find it looks sexier when you hit the dance floor! Is this the future for hairdressing salons? 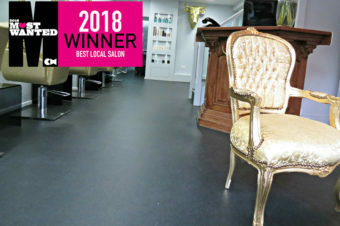 Award-winning hair on the high street – meet the Best Local Salon!